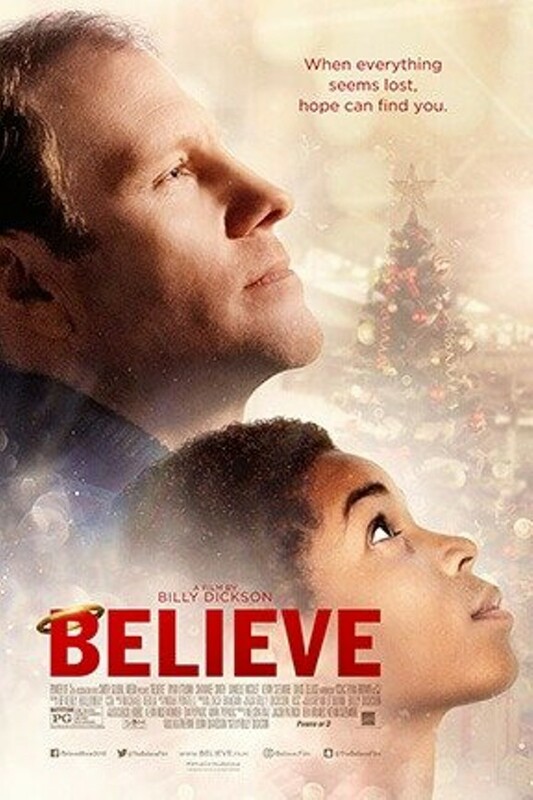 Believe DVD and Blu-ray release date was set for April 11, 2017 and available on Digital HD from Amazon Video and iTunes on March 28, 2017. In a small, economically depressed town in Virginia, local business owner Matthew Peyton finds his company teetering on the edge of bankruptcy. Because of this, he struggles with the decision of whether or not to sponsor the annual town Christmas pageant as he has in the past. After being attacked by townspeople angry with his decisions, Matthew meets Clarence, a special young man who believes in miracles. Matthew must then decide whether or not to rely on faith and truly help his impoverished town.